In Billy and Blaze, Billy gets his very own horse for his birthday! They make a great team, but are they good enough to win the silver cup at the Mason Horse Show? In Blaze and the Forest Fire, Billy and Blaze spot smoke in the brush, and immediately race around the woods to sound the alarm. At the end of the day, they are rewarded with carrots for Blaze, cake for Billy, and a very special present that they can share. In Blaze Finds the Trail, Billy and Blaze go exploring a new road. Before they know it, the sky grows dark with a coming storm, and Billy can’t figure out how to get out of the woods. Can Blaze find the trail and get them home safely? In Blaze and Thunderbolt, Billy’s friend Jim is unable to tame a wild horse called Thunderbolt. But with their gentle approach, Billy and Blaze may succeed where others have failed. In Blaze and the Mountain Lion, Billy and Blaze come face to face with a ferocious mountain lion! Fortunately, they are able to chase it into its cave and save a frightened calf. But can Billy and Blaze chase the lion away for good? In Blaze and the Lost Quarry, Billy and Blaze find an abandoned quarry. But they aren’t the only ones who know of it—they arrive just in time to see a dog fall into the water! Will they be able to save the dog? In Blaze and the Gray Spotted Pony, Billy and Tommy see a small gray spotted pony in a field. Tommy knows immediately that this is the pony of his dreams. Will Tommy’s wish come true? In Blaze Shows the Way, Billy and Blaze show Tommy and his horse, Dusty, how to be as great of a team as they are. Soon, Tommy and Dusty are good enough to enter the pairs jumping class with Billy and Blaze! 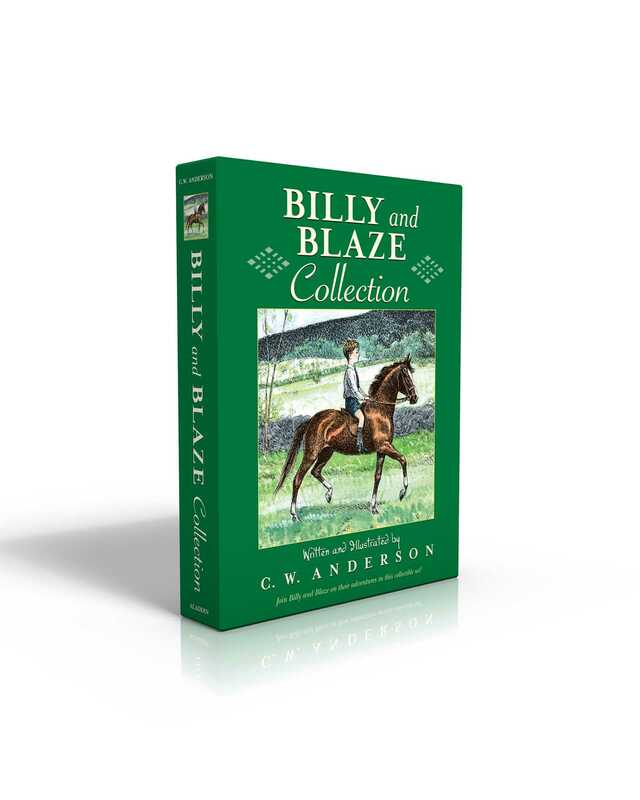 In Blaze Finds Forgotten Roads, Billy and Tommy lead their horses down an unfamiliar path and spend the day exploring. But at the end of the day, neither Billy nor Tommy remember how to get back. Can Blaze lead them home?